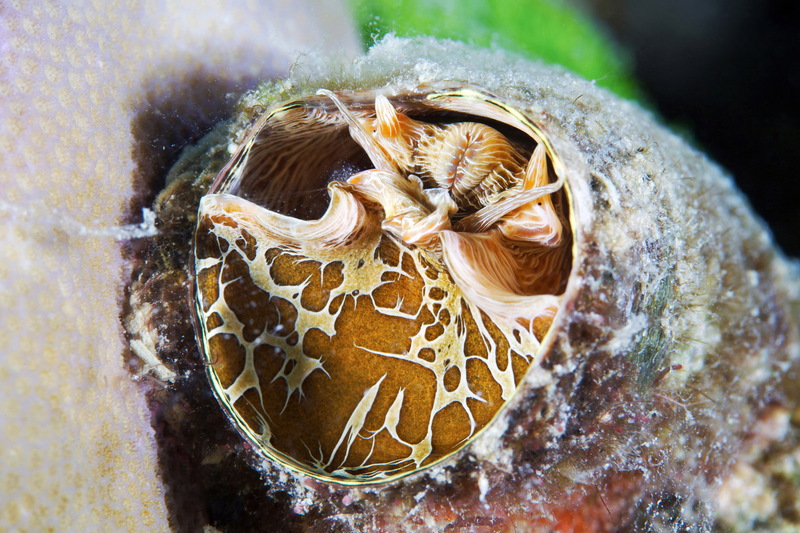 The Gastropoda, more commonly known as snails and slugs, is a large taxonomic class within the phylum Mollusca. 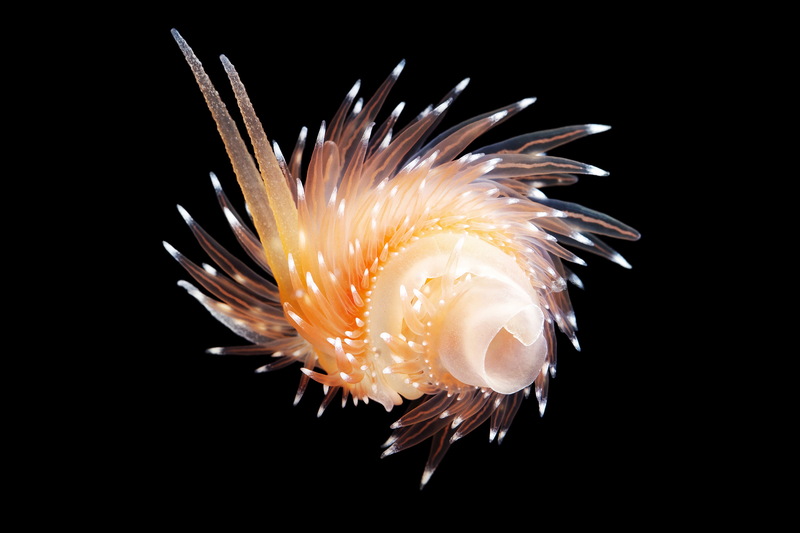 The class Gastropoda includes snails and slugs of all kinds and all sizes from microscopic to large. 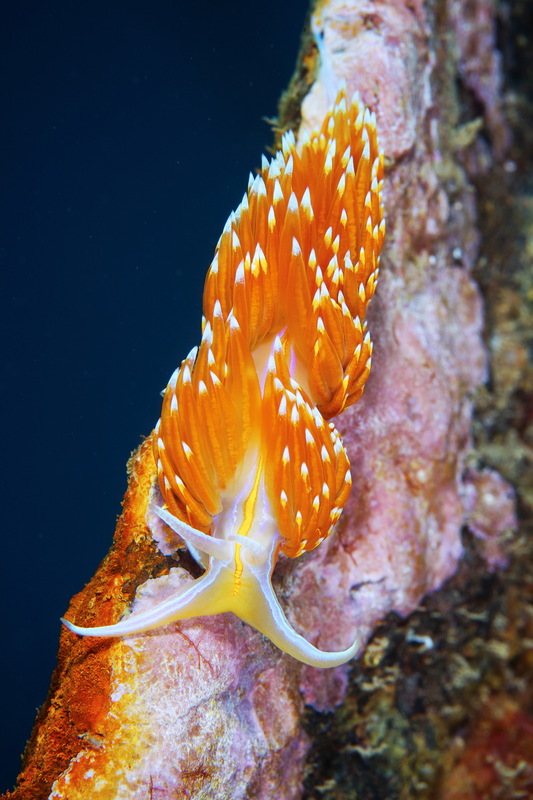 Nudibranchs are relatives of snails and other gastropods, but they are classified as a separate, extremely diverse group. 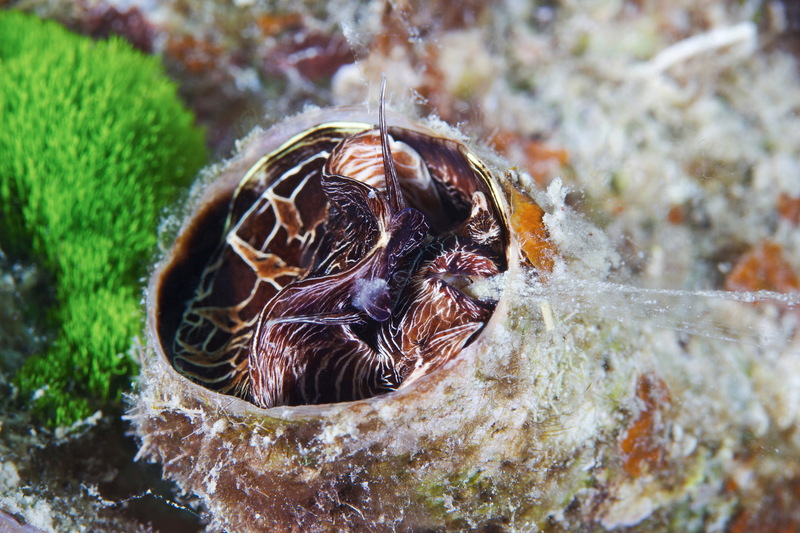 These molluscs have many distinguishing features, including the fact that they do not have a shell. 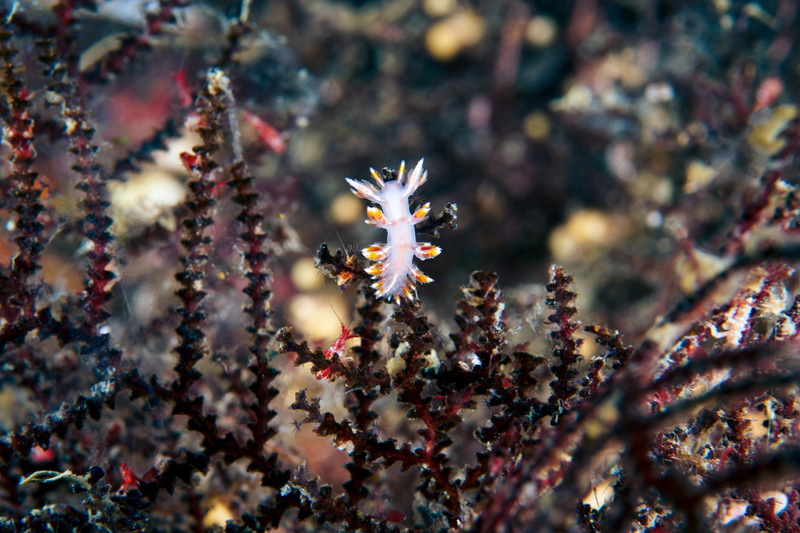 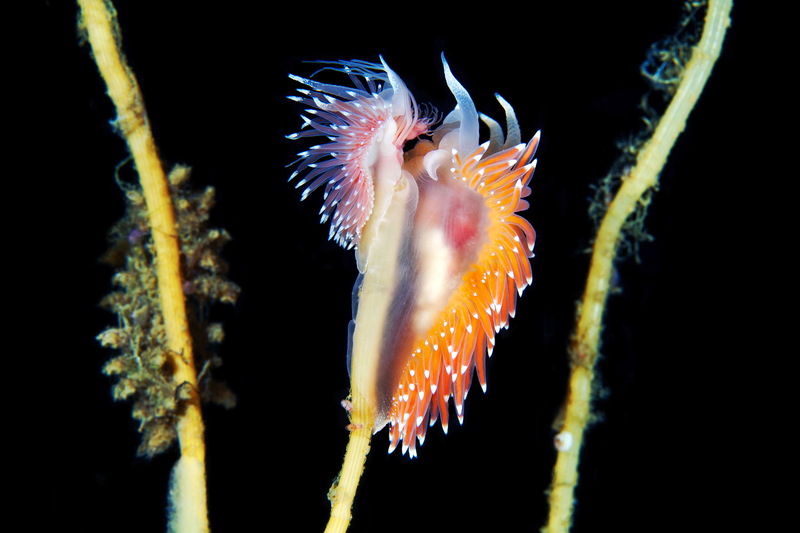 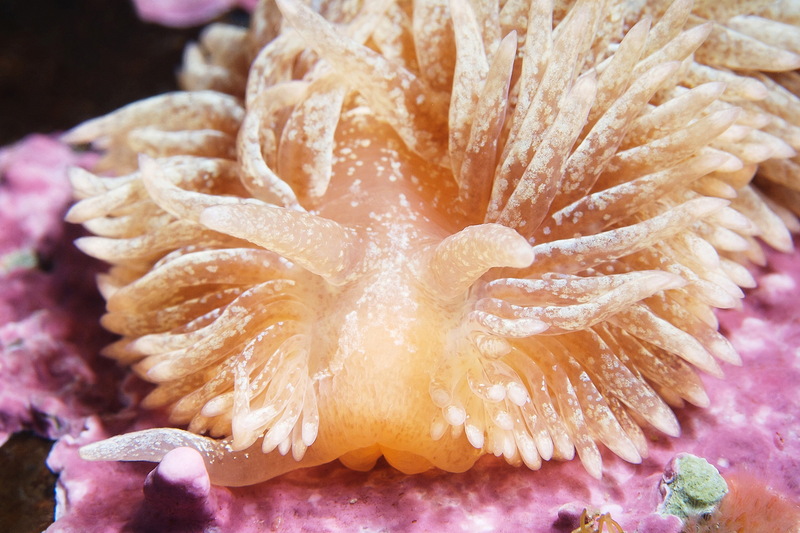 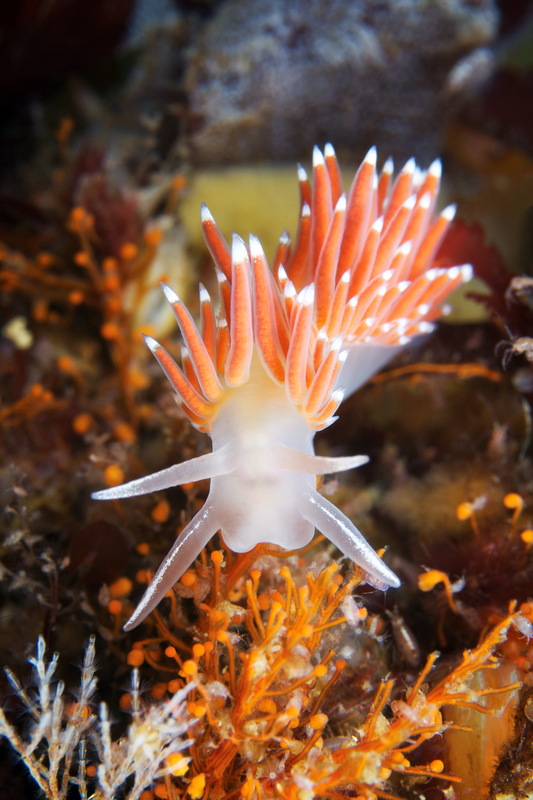 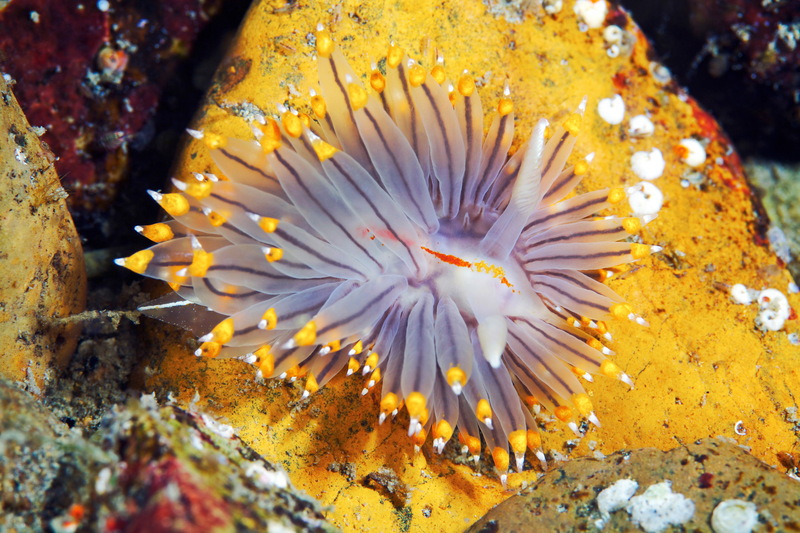 There are currently about 3,000 known species of nudibranchs, but scientists find new ones every year. 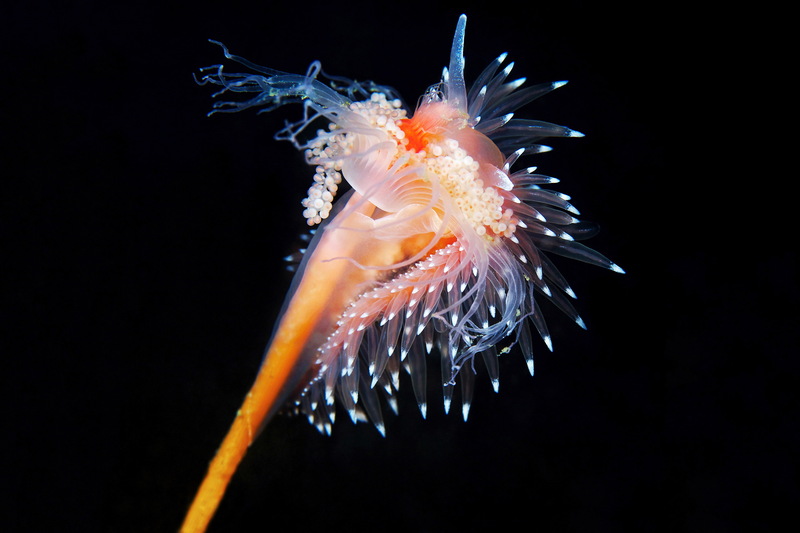 However, even the species we know are incredibly varied. 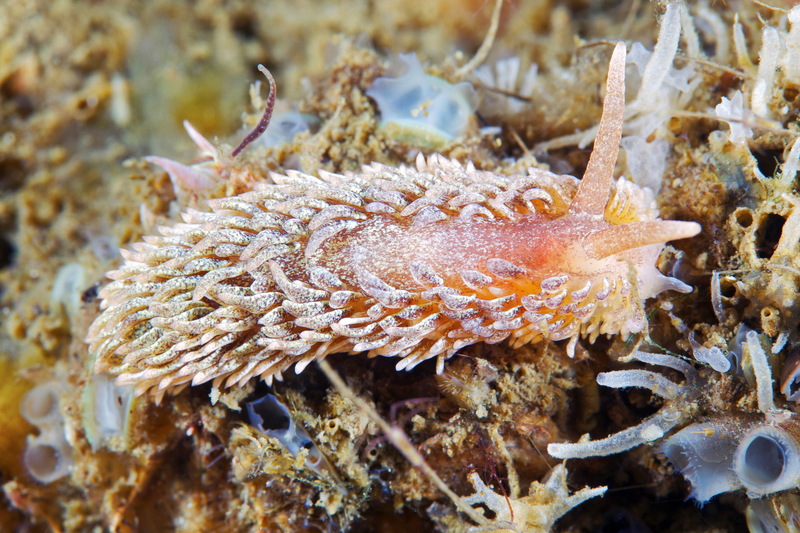 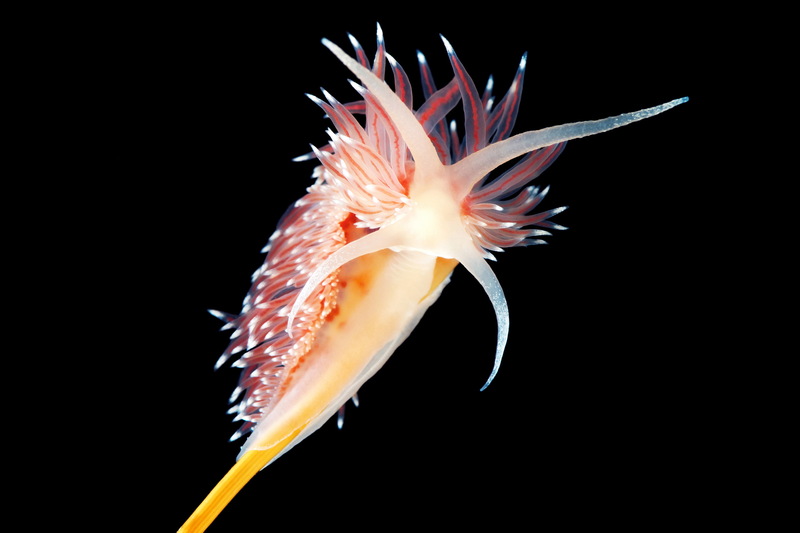 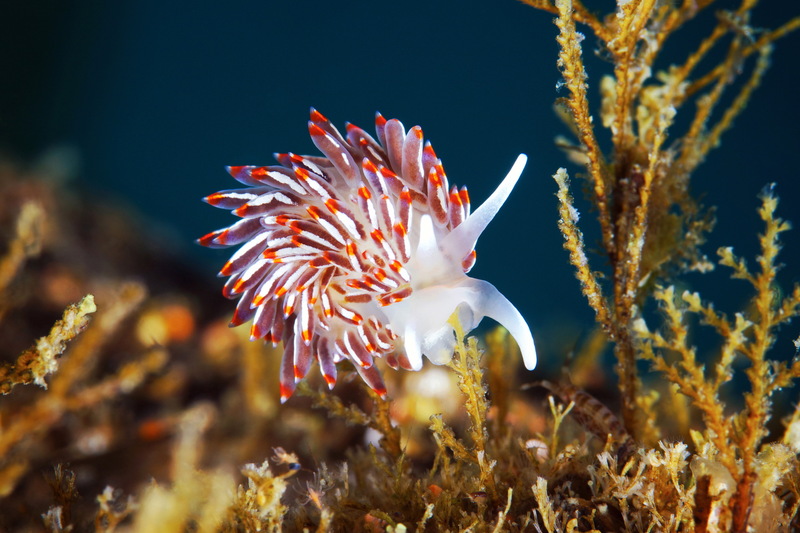 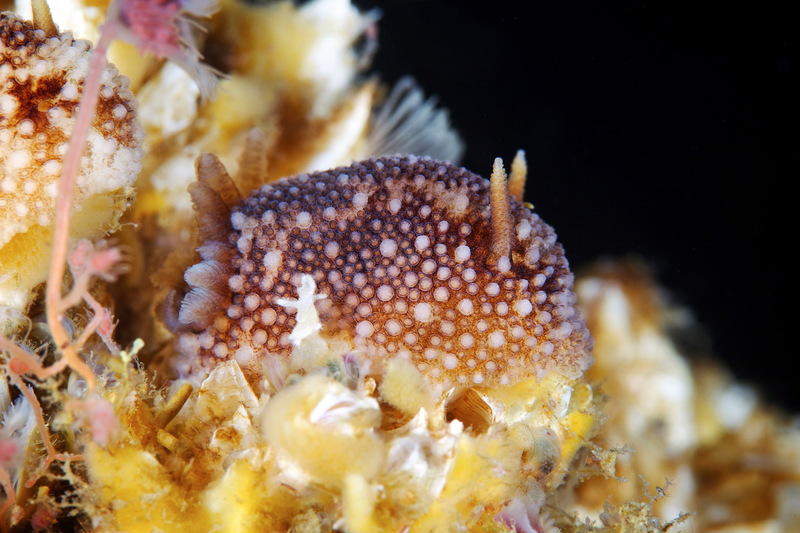 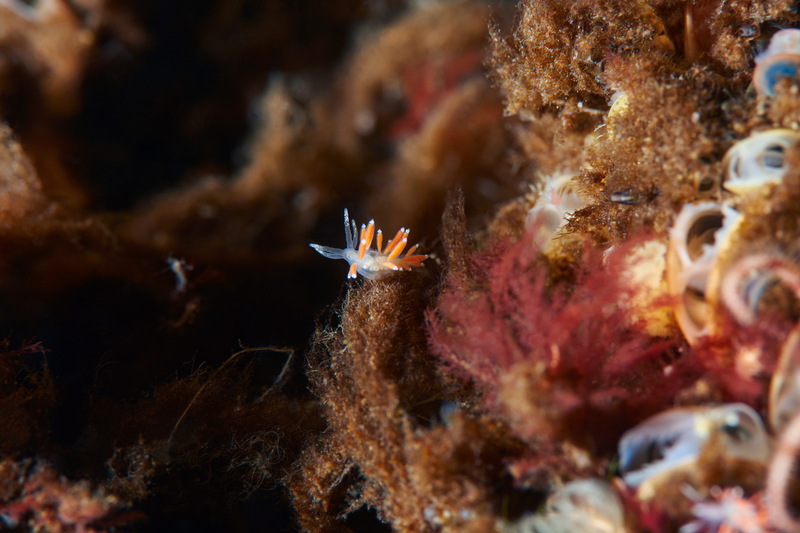 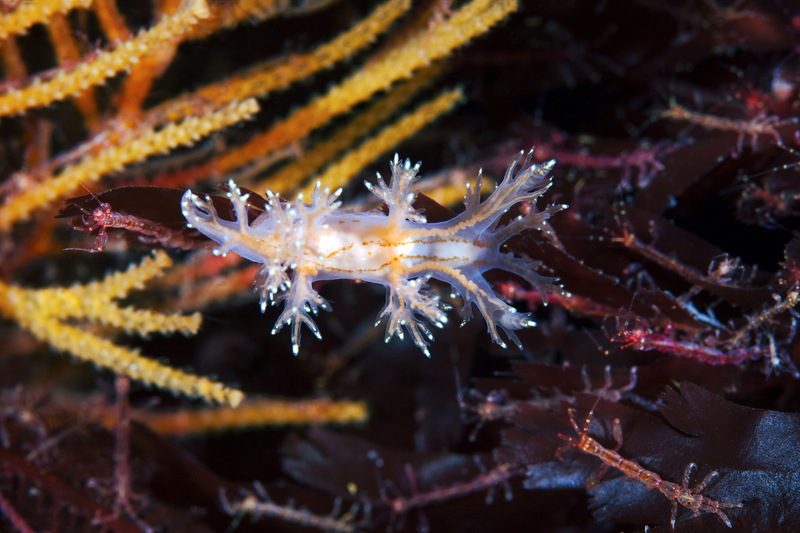 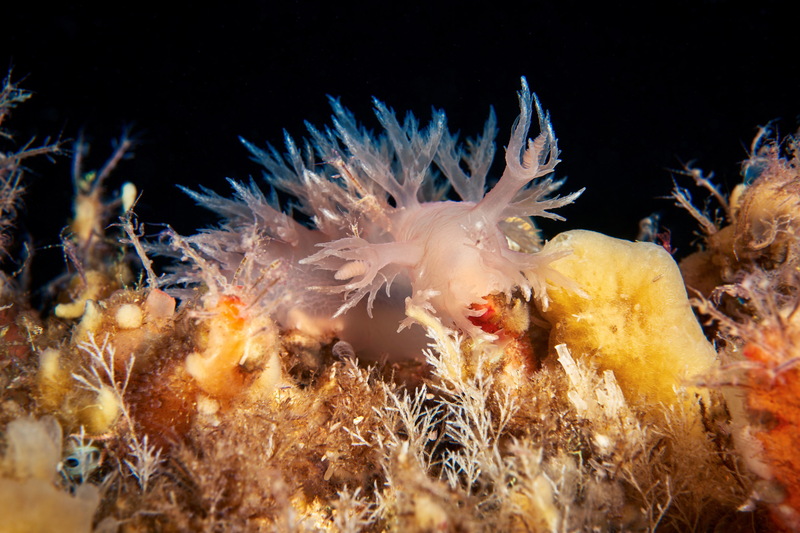 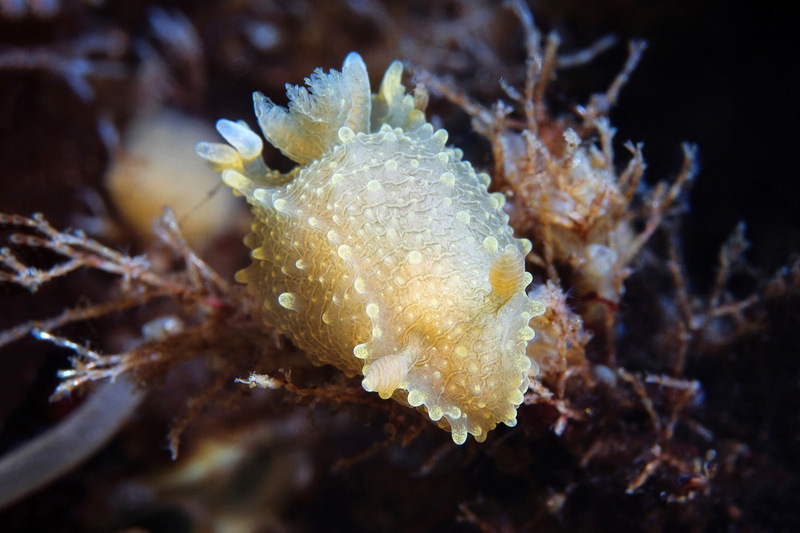 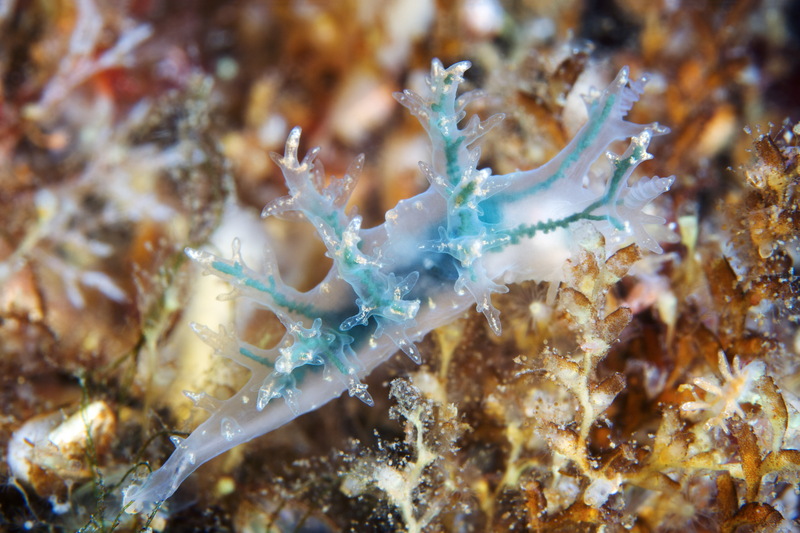 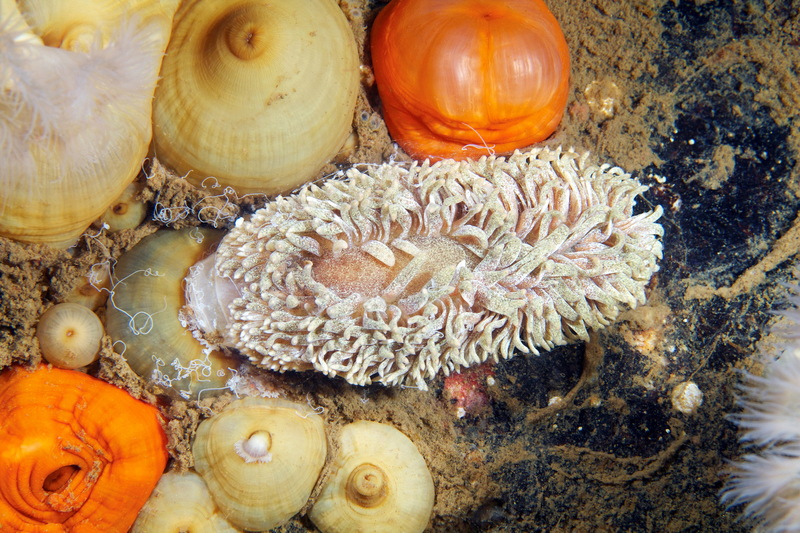 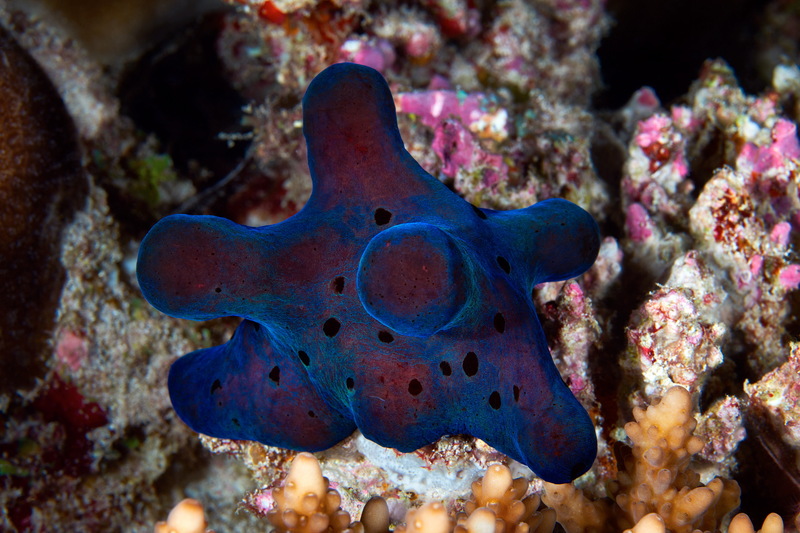 It is almost impossible to choose a “typical” Nudibranch representative since each individual species is so different in its anatomy, colouring and ecology. 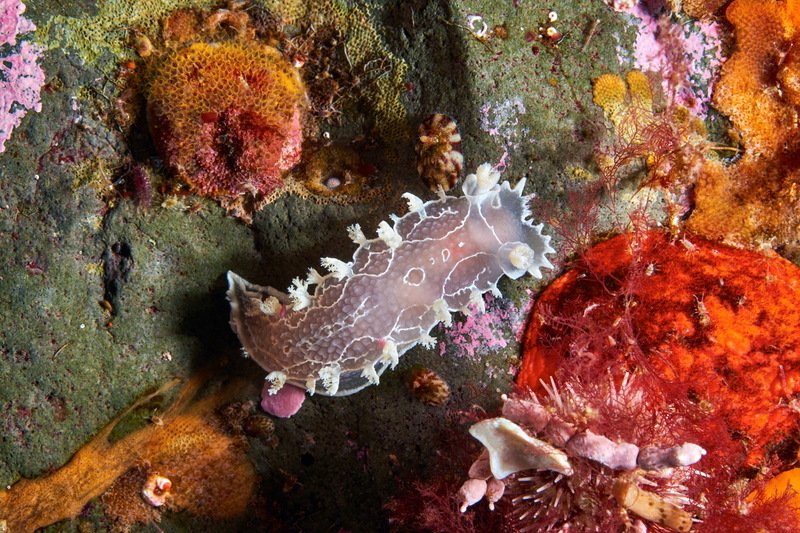 Thanks to numerous papillae - growths on the dorsal side of the body, some nudibranchs are real masters of camouflage. 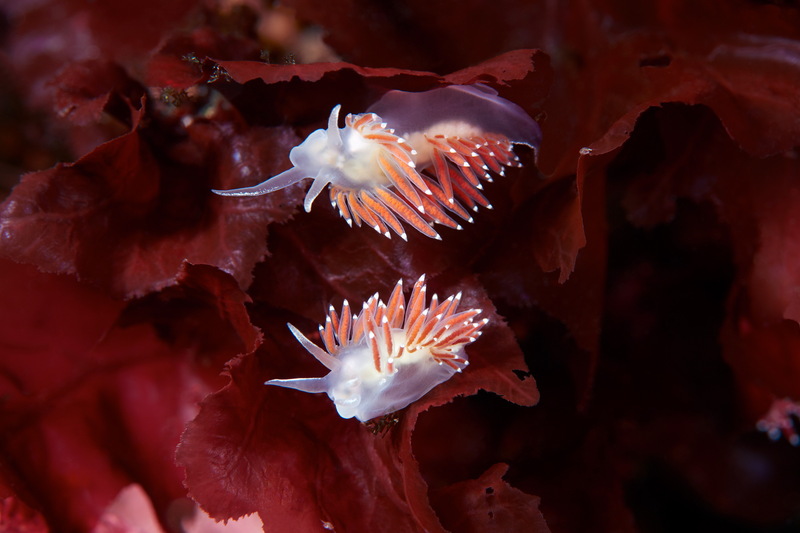 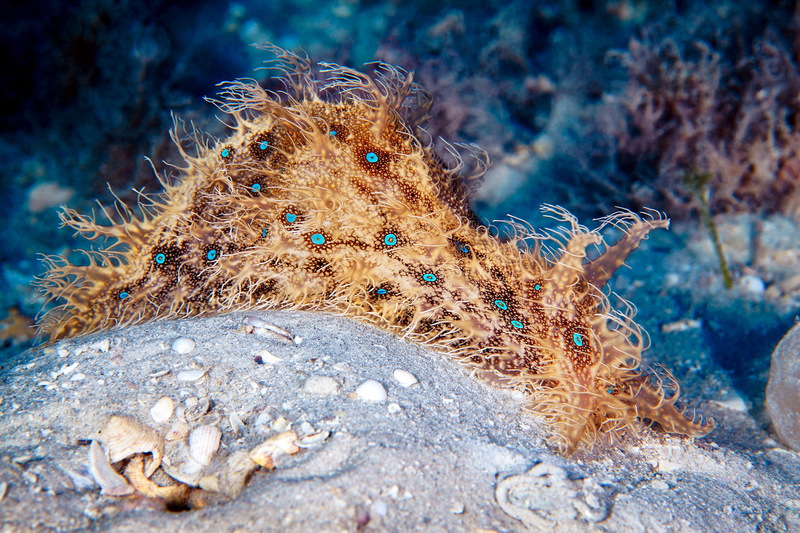 Other species, on the other hand, have very bright, distinctive colouring, which is the molluscs’ way of showing others that they are not to be messed with. 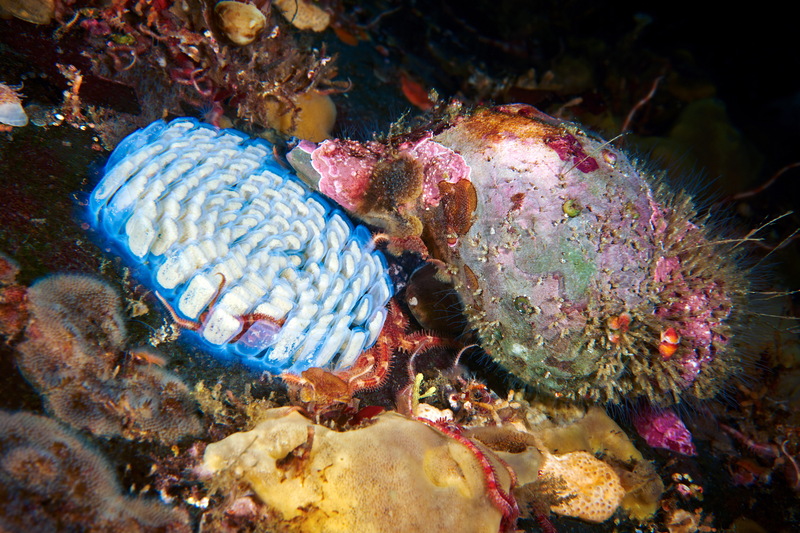 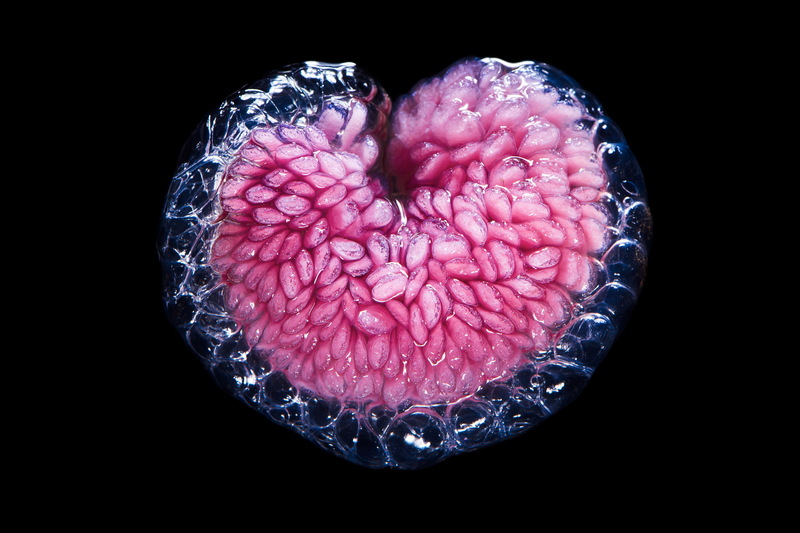 Some molluscs excrete poisonous slime, while others can steal weapons which belong to other animals, such as the stinging cells of eaten coelenterates. 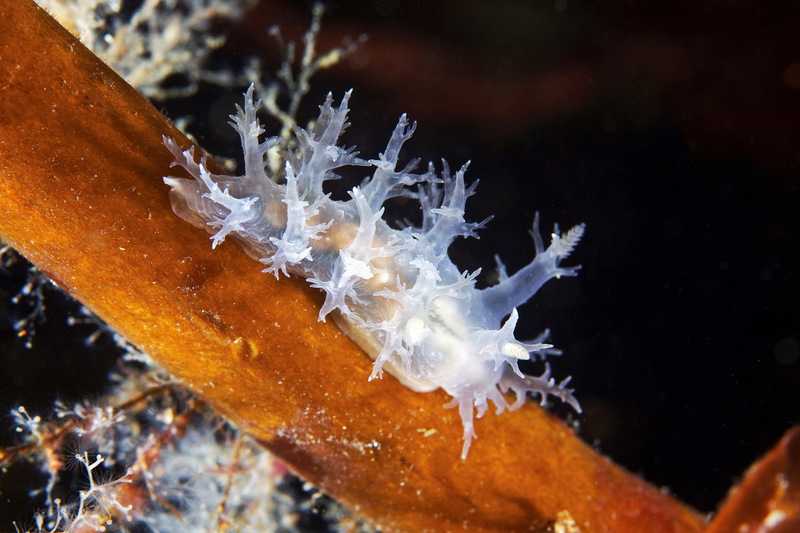 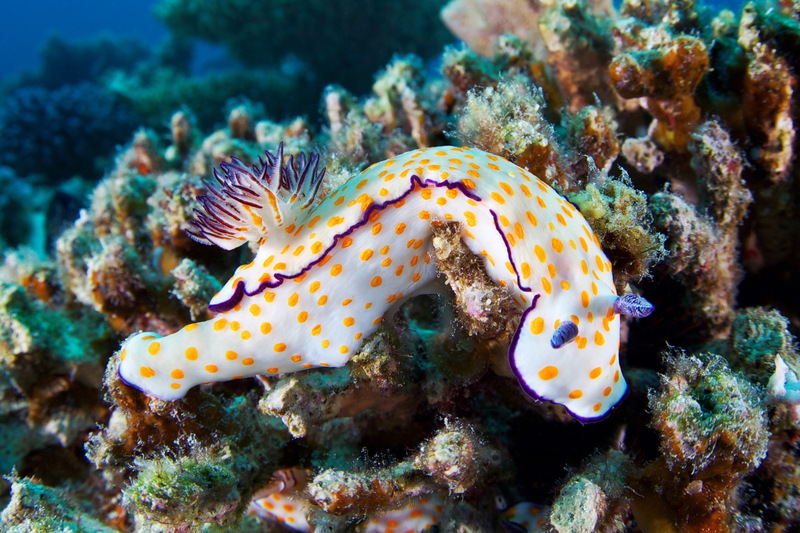 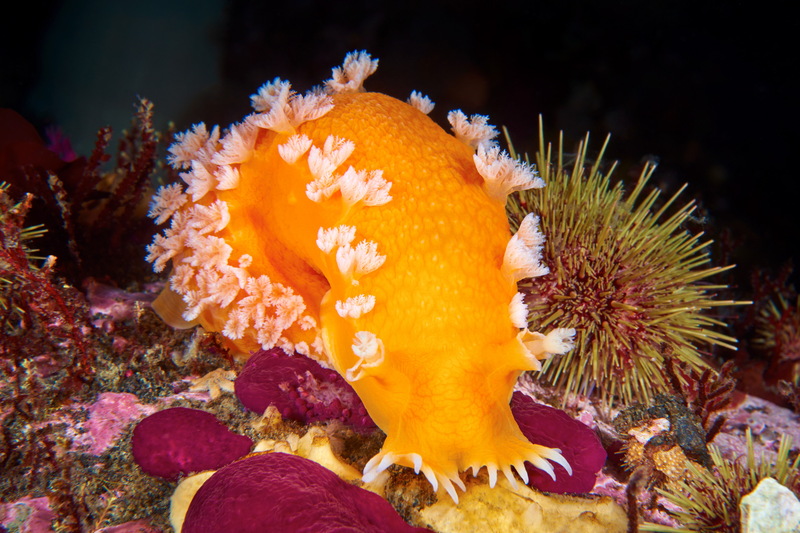 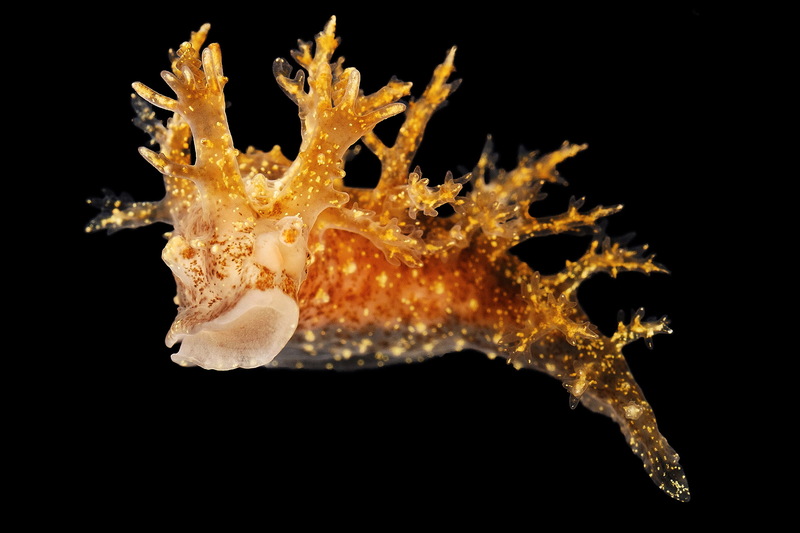 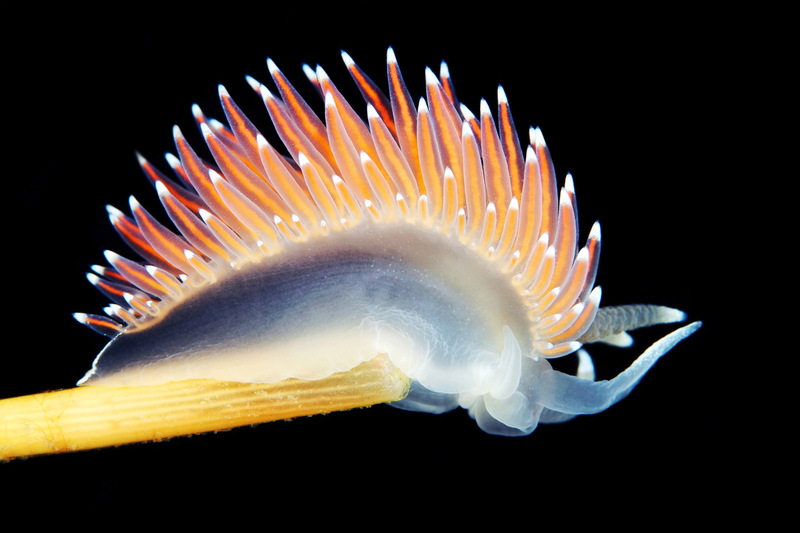 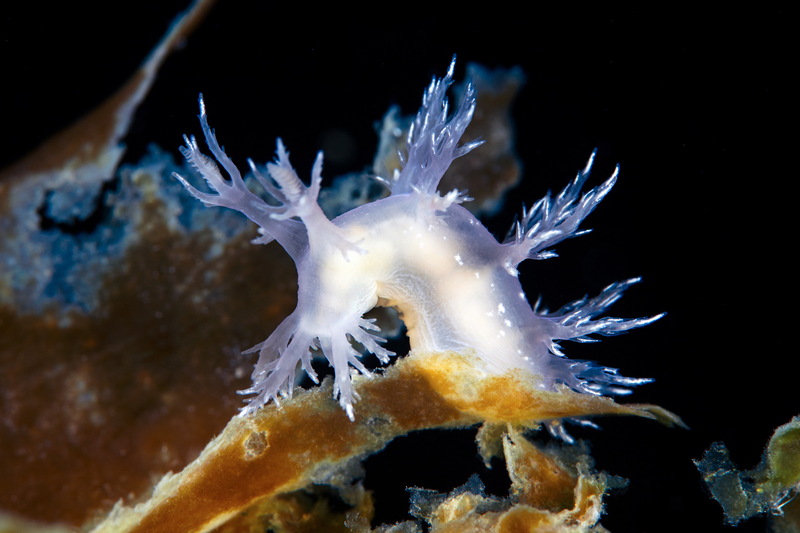 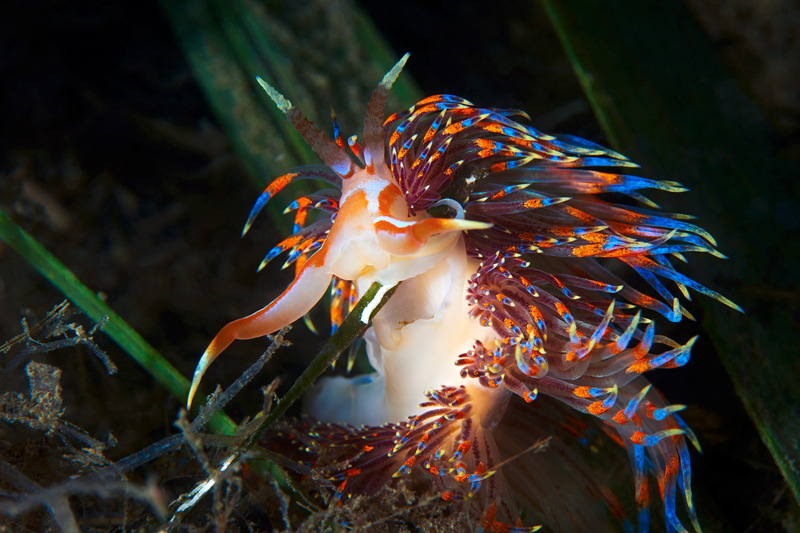 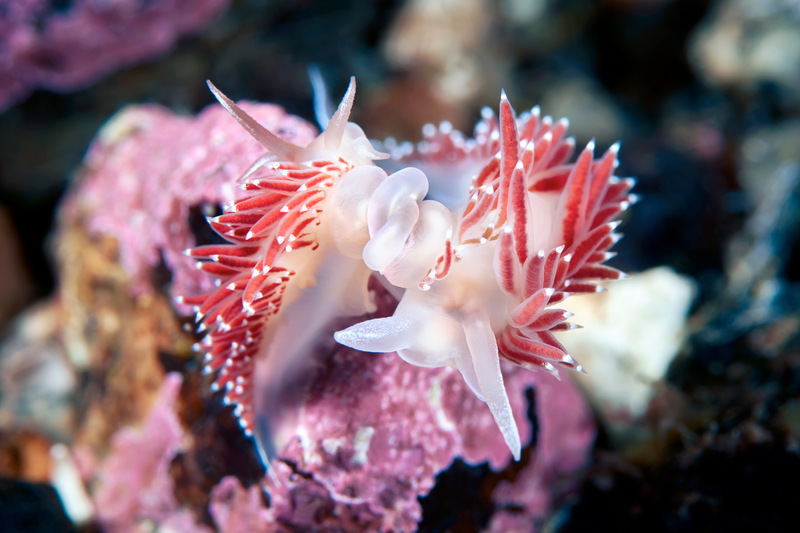 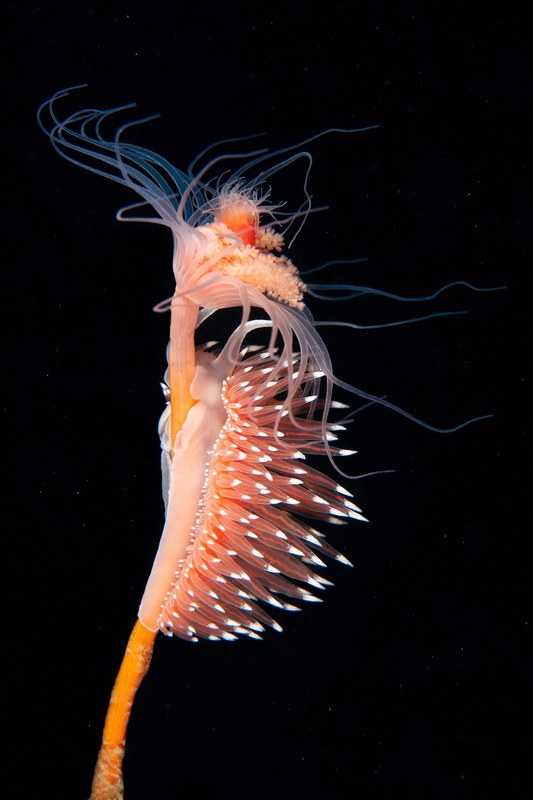 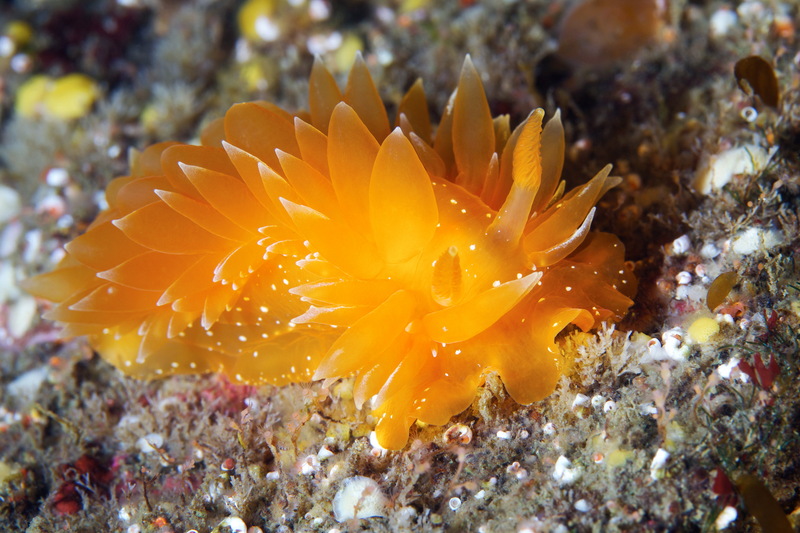 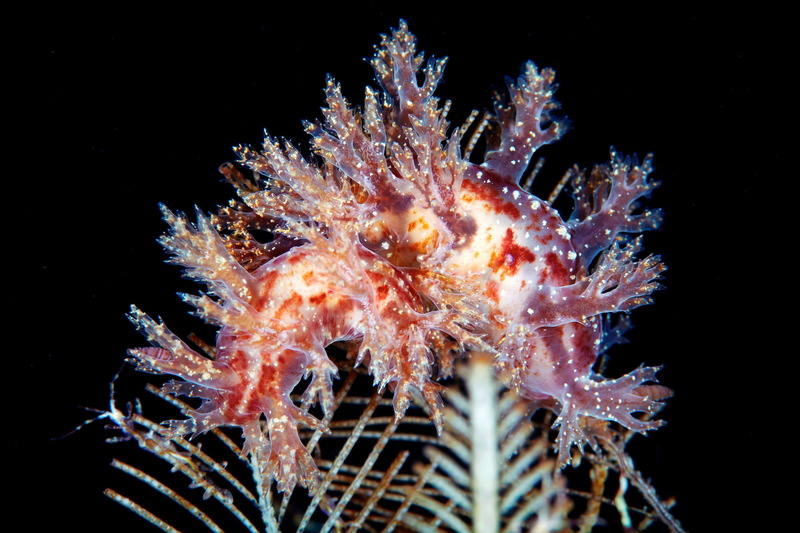 All nudibranchs also have a pair of specialized tentacles called rhinophores, which are chemical sense organs. 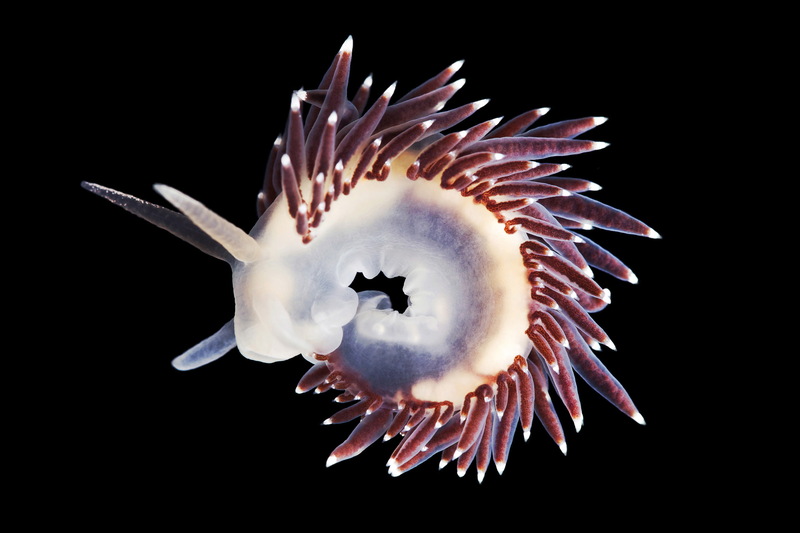 The rhinophores function as powerful antennae and catch the faintest traces of chemicals which can lead the mollusc to a food source, a partner for mating or an escape from predators. 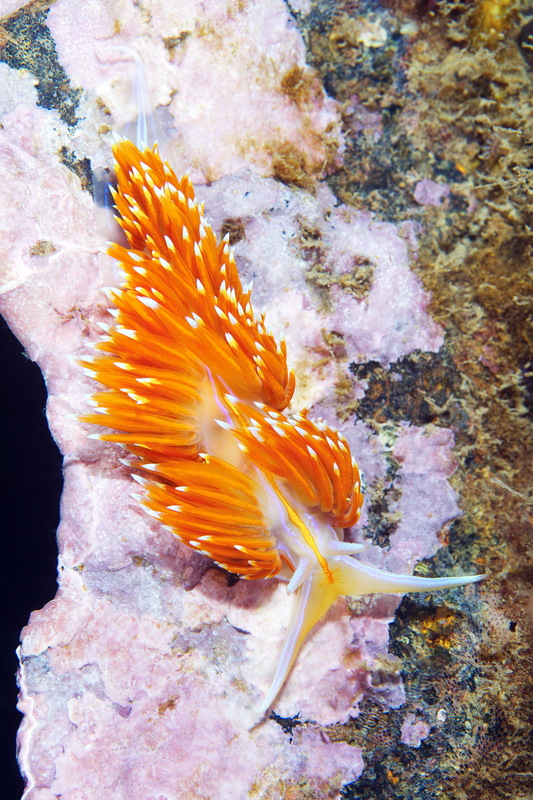 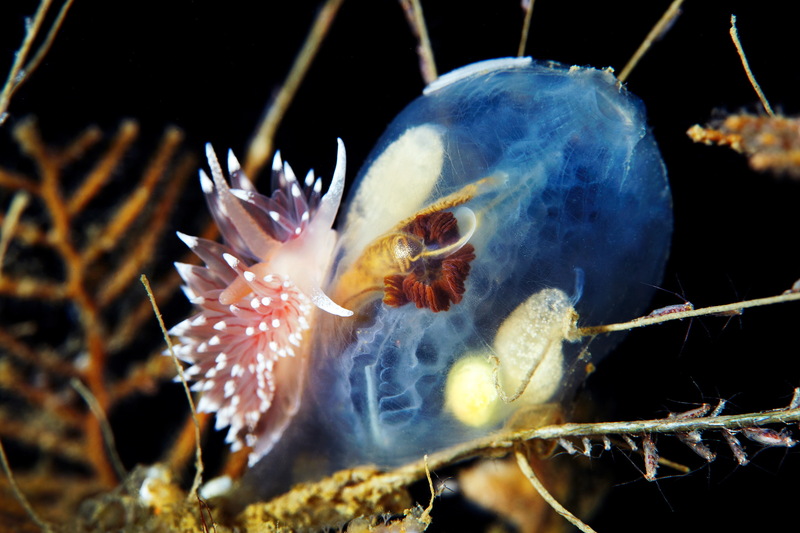 Nudibranchs basically spend their entire lives in motion, looking for food, partners and an ideal place to lay eggs, although they do all of these things very, very slowly.